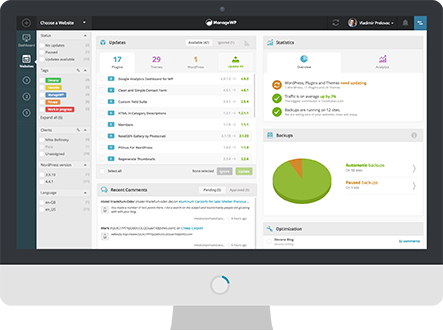 ManageWP provides a powerful suite of alerts, which are important for staying on top of your WordPress sites. Once you start to monitor your WordPress websites, our alerts will notify you if there are any sudden changes in your website’s traffic. ManageWP can also email you to let you know if you’ve had an increase or decrease in traffic compared to a previous day or a previous week. Monitoring your WordPress websites and being notified on time about sudden changes in traffic means that you could take any necessary actions. 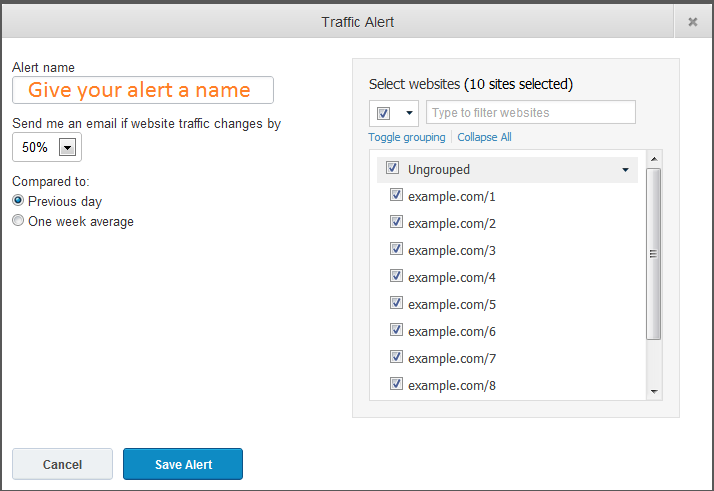 To set up an alert, navigate to Monitor > Website Traffic Alerts. Choose the sites you wish to monitor and choose the percentage of the traffic change you wish to be informed about. This will notify you if there have been any changes in your websites’ traffic.